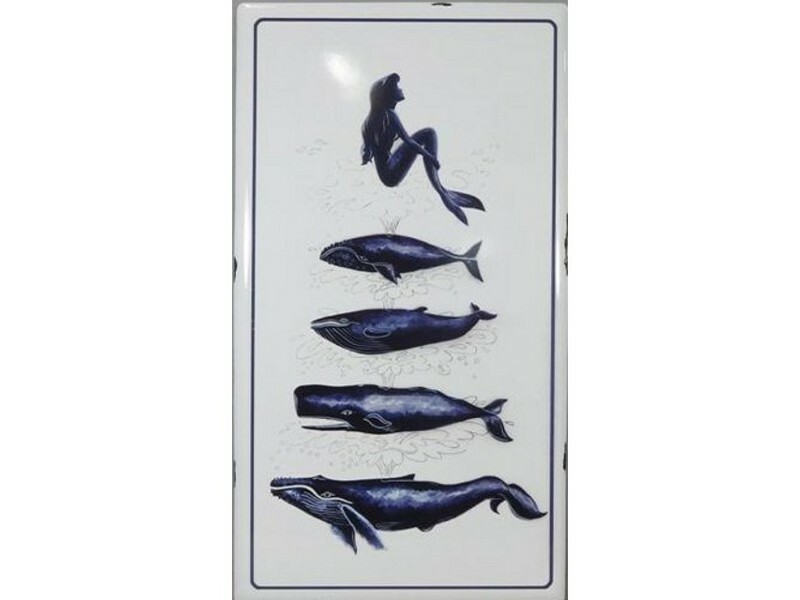 A tin sign with a meramid and several whales. Our return policy is for damaged goods only and lasts 7 days. If 7 days have gone by since your purchase, unfortunately we can’t offer you a refund or exchange. To be eligible for a return, your item must be damaged, unused and in the same condition that you received it. It must also be in the original packaging. To complete your return, we require a receipt or proof of purchase. Please do not send your purchase back to the manufacturer. Once your return is received and inspected, we will send you an email to notify you that we have received your returned item. We will also notify you of the approval or rejection of your refund. If you are approved, then your refund will be processed, and a credit will automatically be applied to you. We only replace items if they are defective or damaged. If you need to exchange it for the same item, send us an email at info@woodlandhome.com.au and send your item to: 13/26 tupia street, Botany, NSW, 2019, Australia. To return your product, you should mail your product to: 13/26 tupia street, Botany, NSW, 2019, Australia. You will be responsible for paying for your own shipping costs for returning your item. Shipping costs are non-refundable. If you receive a refund, the cost of return shipping will be deducted from your refund. Depending on where you live, the time it may take for your exchanged product to reach you, may vary. If you are shipping an item over $75, you should consider using a trackable shipping service or purchasing shipping insurance. We don’t guarantee that we will receive your returned item.